General Manager (Civil/ Planning & Construction): Candidates who have completedB.E/ B. Tech (Civil) engineering graduate having more than 20 years of Post Qualification experience in design and/ or execution of large infra project of planning & execution in Viaducts, Bridges, Multi-stored Buildings, Workshop Sheds etc or equivalent from a recognized Institute for MEGA Recruitment 2018. Joint General Manager (Civil/ Construction): Candidates who have completedB.E/ B. Tech (Civil) engineering graduate having minimum 16 years of Post Qualification experience in large infra project execution environment, out of which 5 years in the construction of Viaducts/ Bridges/ MultiStored Buildings/ Workshop Sheds etc or equivalent from a recognized Institute for MEGA Recruitment 2018. Responsible for supervision and monitoring of Construction works or equivalent from a recognized Institute for MEGA Recruitment 2018. Joint General Manager (Underground Construction): Candidates who have completedB.E/ B.Tech (Civil) engineering graduate having minimum 16 years of Post Qualification experience in large infra project execution environment, out of which 5 years in underground construction including deep excavation support systems, design/ construction of underground civil structures, underground stations, design & construction of tunnel by TBM, C&C methods. Experience in top-down & bottom-up station construction methodology in urban locations is required. Joint General Manager/ Sr. Deputy General Manager (Architecture): B. Arch engineering graduate having post qualification experience of minimum 16/ 15 years as Architect. The preference will be given for experience in planning of elevated/ underground Metro stations layouts, Metro Station Designs and checking the conformity of station layout to NFPA standards. Manager (Finance & Accounts): Candidate must be a CA/ ICWAI with a minimum 7 to 9 years of post-qualification experience in the areas of Direct taxes Provisions, Indirect Taxes Provisions, Compliance with Accounting standard requirements, Finalization of Budget preparation & Control in an organization implementing large construction/ infrastructure project. Manager – (Public Relation): Master’s Degree in Journalism or Mass Communication of a recognized University having minimum 7 to 9 years of post-qualification experience in Planning publicity strategies and campaigns, writing & producing presentations and press releases, dealing with enquiries from the public, the press, and related organizations, organizing and attending promotional events such as press conferences, open days, exhibitions, tours and visits, Govt. Liaison, Exhibitions, Website Management etc., and other PR activities. 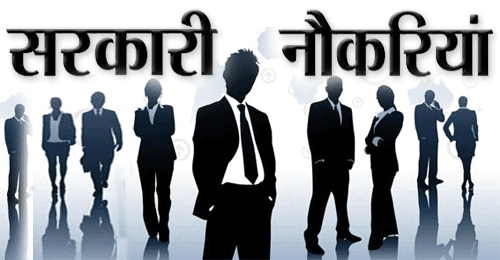 Assistant Company Secretary (ACS equivalent to Manager Level): Candidate must be a qualified Company Secretary in Fellow/ Associate Member of the Institute of Company Secretaries of India with 7 to 9 years of relevant experience. LLB/ LLM would be preferred. He or She should ensure compliance of various provisions of the Companies Act, 1956, guidelines on Corporate Governance and other Corporate Laws like SEBI Act, Competition Act, FEMA, Consumer Protection Act, RTI etc. Assistant Manager (Asset Management): Candidates who have completed B.E/B.Tech (Civil) engineering graduate with MBA having minimum 5 years of Post Qualification experience in Asset Management of large infra project. LLB/ LLM background would be preferred. Candidate will be responsible for complete asset management such as Land/ Buildings/ monitoring of land acquisitions etc., of the Company or equivalent from a recognized Institute for MEGA Recruitment 2018. 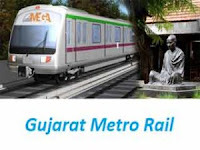 Eligible & Interested candidates can apply via online in Official website page at www.gujaratmetrorail.com MEGA Recruitment 2018. Complete the MEGA Jobs Application Form with the essential data. Take a print out of MEGA Recruitment 2018 online application form.